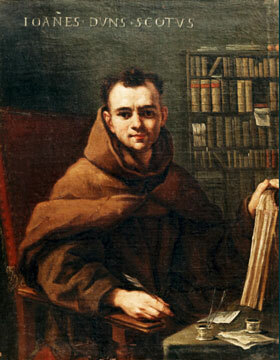 On November 8th the Church and the Franciscan world celebrates the feast of Blessed John Duns Scotus, a friar and medieval theologian/philosopher. Not a household name, Scotus is best known for his philosophical writings, but it is his theological perspective that has left the most impact. His theological writings on Mary form the basis for how we understand the Feast of the Immaculate Conception and his writings on the preeminence of Christ are the basis for the celebration of the Solemnity of Christ the King.